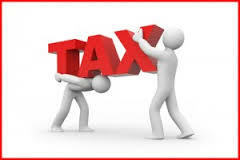 The UK’s Office of Tax Simplification (OTS)1 has recently been conducting a review of employee benefits and expenses. It published its final report in July this year2. OTS reviewed most benefits-in-kind (BIK) in their earlier reports. In this final report they concentrated on “Accommodation Benefits”. The basic rules for taxing (or exempting) accommodation benefits were covered in the ACCA F6 Study Manual in Chapter 3. The Study Manual dealt with this in less than 3 pages, whereas OTS took a whole chapter of 23 pages (plus appendices) to discuss this benefit; the legislation contains lots of small print3 and HMRC’s own staff are given substantial guidance on applying the rules4. The subject is a lot more complex than you may have inferred from your studies. An introductory tax course – or foundation-level professional examination paper – can only ever give an introduction to the fundamental rules of the tax system. They can only provide the basics to enable a student to begin to master the details of the subject. One of the most important things to be developed at Year 3 of an honours degree course is an appreciation of the limits of our knowledge. Recognising what we don’t know is often more important that we what do actually know (or at least thing we know). This is also important in professional life. One of the main ethical requirements of tax professionals in the UK is that they must be ready to identify circumstances where they are not sufficiently knowledgeable to give advice. But to be in a position to recognise that requires a deep understanding of the discipline of taxation; the most respected figures within the tax profession are those experts who are most ready to seek the advice of others on matters outside their particular areas of expertise. The same will apply no matter what profession you enter after graduating. One of the main purposes of the tasks set out on the next two pages is to help you appreciate the limits of your learning and to recognise how things can get much more complicated once we have to start considering the fine details. Although we are asking you to look at one small aspect of the UK tax system, similar issues apply in all other jurisdictions and in all other disciplines. The skills involved in researching and in explaining your findings clearly to different audiences will be relevant to whatever profession you decide to enter. CREATE A SUMMARY of the rules and practice relating to the exemption of job-related accommodation from a charge to UK income tax. Your Summary should be no longer than one sheet (two sides) of A4 paper. It should be written so that an inexperienced colleague could use it as an aide memoire in a meeting with a new client. The Summary does not need to include all the answers but it does need to be sufficient to ensure that all relevant questions are asked of the client (and irrelevant questions kept to a minimum). The Summary should include brief references to legislation, official guidance etc. These need to be just sufficient for a user to be able quickly to check on the details of the rules. Training manuals, textbooks and study guides are not appropriate reference material. They rarely have sufficient detail and cannot be relied upon to reflect the most recent changes to the law or HMRC practice. These publications are generally written to help the user prepare for a particular exam. To do this efficiently they have to restrict their scope to the syllabus being examined and the rules in force at the time the exam was set, which may be a year or more before the actual sitting. Academic referencing (such as "Harvard") is not required. It is unlikely to assist the user of your document. You can explain here how you came to make your final decision. Even if aspects of your Summary are not what the marker was expecting to see, you will still receive full credit if you have presented a sound argument in support of your work. 20 marks are available for the accuracy and completeness of the technical material. 20 marks are available for the presentation and usability of your Summary. In Annex C of their report5, OTS provided some international comparisons of accommodation benefit. There will be many other countries that OTS would have liked to have looked at if they had had the time and resources. OTS recognise that the UK can learn lessons from anywhere in the world. · The way legislation is presented in the text. You may submit a copy of your research diary or journal. You may find some information difficult or impossible to find. You will still receive credit even if your actual report is incomplete, so long as you can demonstrate in your diary that you have searched for the information in an appropriate way. There is no word limit for the diary. Use whatever level of detail is most helpful to you.